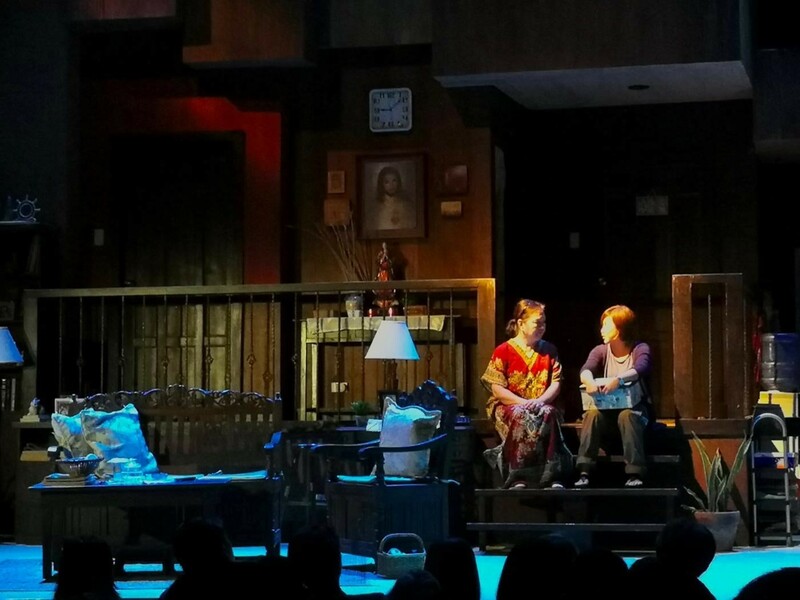 Opening its curtains for 2018, PETA brings an intimate production of the Filipino adaption of Marsha Norman’s Pulitzer Prize-winning drama “Night, Mother”. 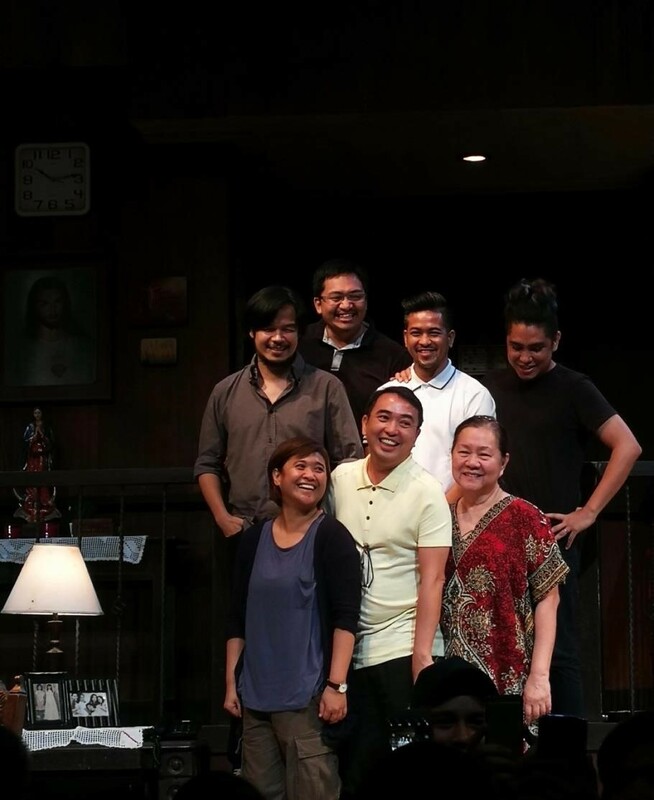 The play, adapted by Ian Lomongo and directed by Melvin Lee, will be PETA’s culminating production for its 50th season. 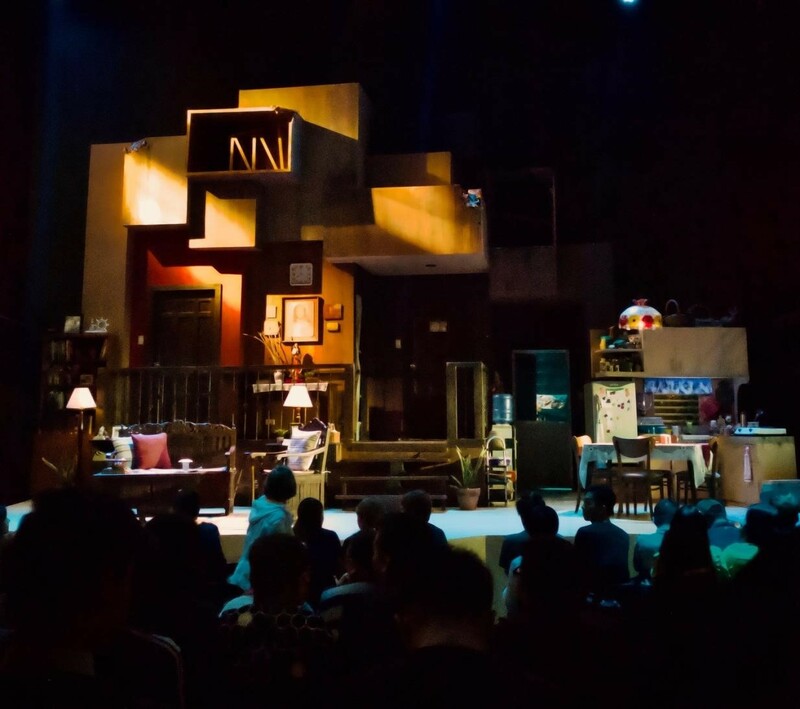 Set in EJK and Tokhang era of 2017, the play’s narrative revolves around the complex emotional and provocative issue of urban modern life. This two-woman play is a story of a night when a divorced woman, Jessie, reveals her plan of ending her life to her mother Thelma. Throughout the 90-minute course of the show, no intermission, would take the audience to rollercoaster of emotion as Thelma convinces Jessie how worth-living life is. 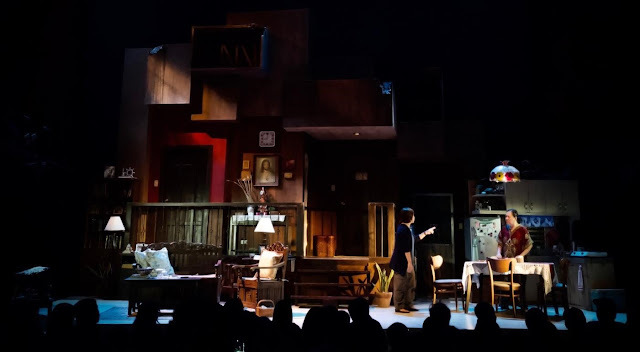 Entering the intimate PETA-Phinma theater, cross-sectioned typical middle-class Filipino home will welcome you on stage. Stacks of cubic façade is prominent on the stage bringing a strong and hard atmosphere in contrast with the cozy homey feeling of the house. Moreover, it is a working house which was really amazing. A working refrigerator and stove complete with kitchen wares makes it possible for Thelma to prepare hot chocolate on set! This great set design by Ben Padero, sends the audience back to their homes which makes it easy to for them to be immersed into the plot. Wouldn’t it be a big stage for just two actors? That’s a no, for Eugene Domingo and Sherry Lara. Their portrayal of the roles of Jessie and Thelma respectively were bigger than the stage itself. Waves of subtle emotions crashes as Thelma and Jessie exchange lines, bargains, favors and untimely last will. Sherry Lara’s motherly care is as natural as it can be- effortless and effervescent. On the other hand, Eugene Domingo’s Jessie is very relatable-no pretentions and sincere. The timing of the dark humorous banters is on point in a sense that you could catch yourself cracking a light laugh in the middle of a dramatic exchanges. There’s no particular time all throughout the act where you feel the stage is empty or seem spacious. Instead, you will be locked to where the two actors are. Just still and savor. The exposition of the material was seamless. Although the original material was written four decades ago, the story-telling was very relevant to today’s setting. It bears the current socio-political climate that gives body to the material. 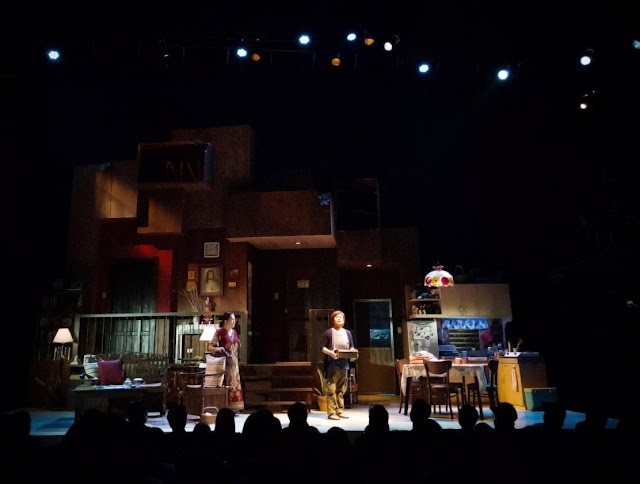 The Filipino adaptation captures today’s context of a family, urban living and self struggles that even some millennials are going through. The theme of “Night, Mother’ transcends time. The material has no absolute theme in general, but a web of themes that concludes to a night where the story all happens. One facet that can be literally seen is the theme of depression and suicide which is timely due to increasing awareness to mental health. Nevertheless, this play can give at least a peek to the face of depression and suicide and why it is an important human concern. Furthermore, as what its director always emphasizes, the play encompasses beyond the literal and the obvious. It provokes us to talk about those taboo life themes that are essentials such as family relationships, isolation and loneliness. Specifically, it emphasizes the significance of an open and honest conversation between family members. 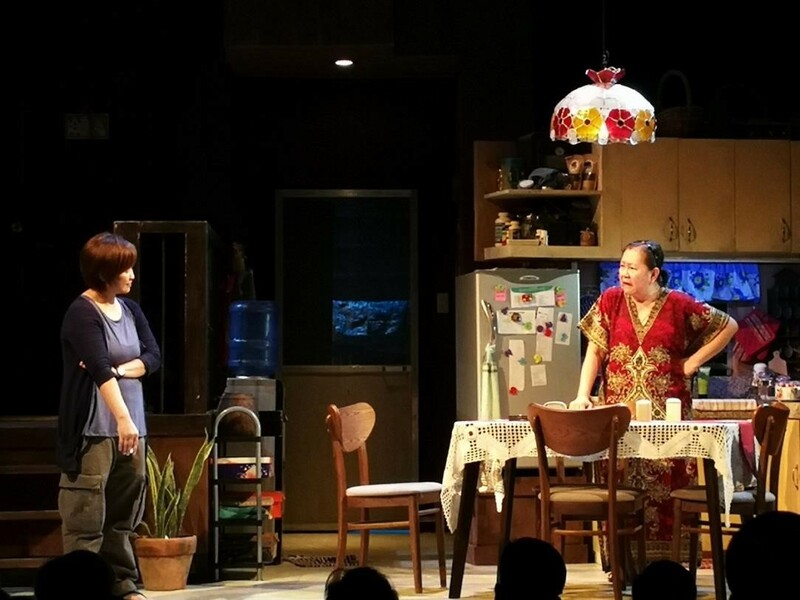 Basically, the play is all about that night when Jessie and Thelma engaged to a meaningful family conversation which will also be their last. A type of conversation that can be done any time of the day and with a topic in which bidding goodbye would be the least. Instead, being full with her despair, Jessie had the strength to have the talk when she finally decided to end her life that night. This leads us to question that if an open and honest line between Thelma and Jessie could have avoided Jessie of committing suicide. Or, thus Thelma’s “motherly” instinct of overprotecting Jessie, to the point of sugarcoating bitter truths and realty, provoked her decision? Or, Jessie just fall out of love with life or with her family? Answers were unknown. Open-ended as it is, it leads to discussion of the value of human relationships, communication and listening. PETA’s “Night, Mother” is a fresh breather from their grandiose musicals. Raw and pure, it would dig and bore to your consciousness the true sense of human relationship. 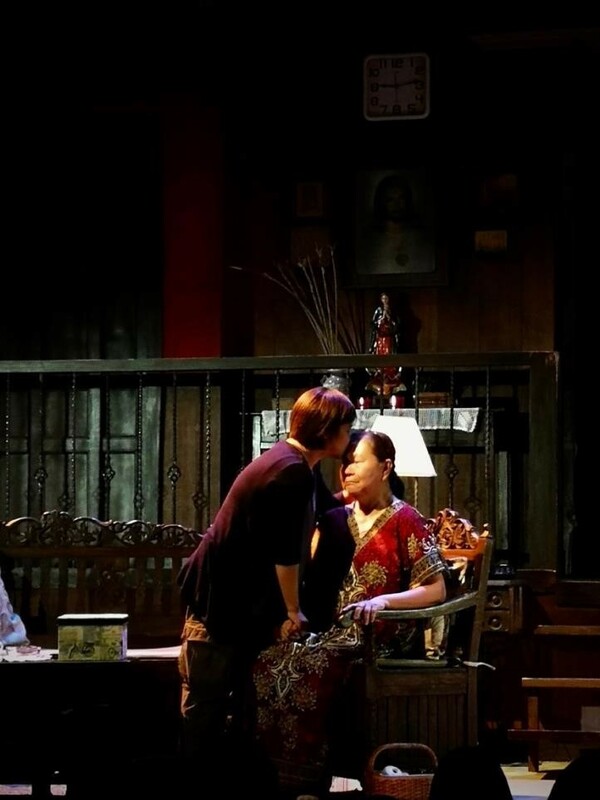 This intimate play also epitomizes PETA’s maturity in staging theater productions and its relevance to society. Indeed, a solid culmination of its golden season. Catch PETA’s “Night, Mother” which will run from February 2 to March 18, 2018 at PETA Theater Center, New Manila, Quezon City. For Tickets visit www.ticketworld.com.ph or contact PETA PR Office at 0927-603-5913.